The Westminster College will be holding its annual summer camp this July 20 to July 22, . The Westminster College Women’s Soccer Elite Summer Camp is for serious 9th to 12th-grade female soccer players. This is a preparatory program for those who intends to bring their game to the collegiate level. Furthermore, it will focus on enhancing technique, teamwork, and conditioning. This camp also emphasizes psychological preparations for the game. The Westminster College women’s soccer coaching staff will provide the instructions to help the campers attain their potentials. Goalkeepers will also receive their position specific training sessions. This event will take at the Westminster College campus. It will at 8:00 AM on July 20 and end at 11:00 AM on July 22. Westminster College is a private college in Salt Lake City, Utah. It has a Northwest Commission on Colleges and Universities accreditation. Currently, it accommodates a total of 2,692 undergraduate and graduate students. It is offering around 50 undergraduate and graduate programs. It is 20th in the Regional Universities West, edition of Best Colleges rankings. And, it is also 14th in the Best Value Schools rankings. The college has 17 varsity teams. They are playing in the Rocky Mountain Athletic Conference of NCAA Division 2. They are known as the Griffins. Purple and copper are their official colors. 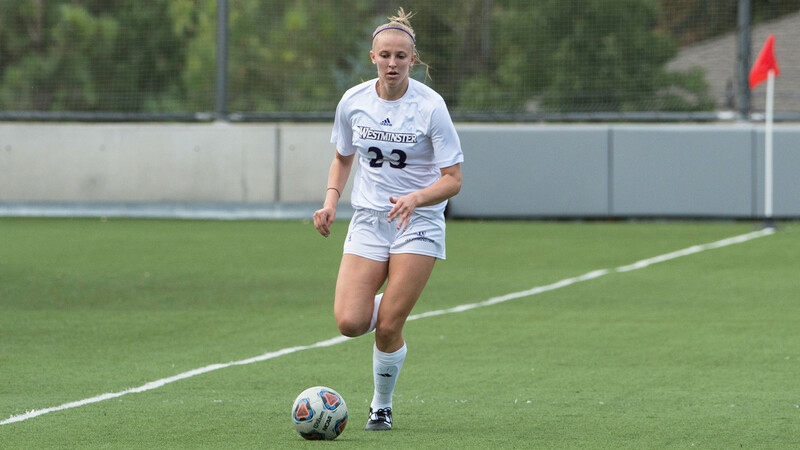 In addition, the Westminster College women’s soccer team is 8th in the most recent conference standings. Tony LeBlanc is the Westminster College Griffins women’s soccer head coach. He is 2013 as well as the 2014 Unaffiliated Coach of the Year. During his playing days, Coach Tony LeBlanc is a 2-time scholar-athlete. Moreover, Coach LeBlanc hold a USSF D coaching license. Then, the women’s team assistant coaches are Nic Duncan, and Justine Jones. Coach Nic Duncan is entering his 5th season in the Westminster women’s soccer coaching staff same as Coach Justine Jones. Finally, completing the coaching staff is student assistant coach Madison Roemer. The Westminster College Women's Soccer Elite Summer Camp is a preparatory program for those who intends to bring their game to the collegiate level.